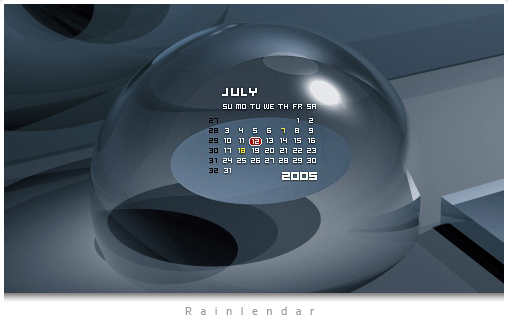 A calendar for your Windows desktop! It works great with Windows XP - Vista - Windows 7 Seven and 8. Refresh or quit Rainlendar and after that the skin should appear in the skin list, (which appears with right click on the calendar), from there you can chose the new skin. Save the document and right click on the Calendar again and chose "Refresh" and you done!